On this date in 1547, the Duke of Norfolk was to have been beheaded. But thanks to the previous day’s death of the corpulent 55-year-old King Henry VIII, the duke’s death warrant was never signed, and the condemned noble died in bed … seven years later. A force in the gore-soaked arena of English politics for two generations, Thomas Howard had steered two nieces into the monarch’s bed. 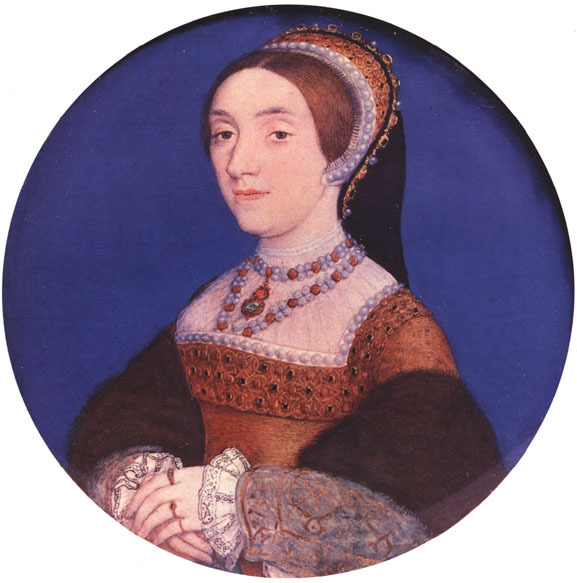 Both girls had gone to the scaffold,* and the disgrace of the second, Catherine Howard, brought a collapse in the whole family’s fortunes. Thomas Howard’s son Henry was not as lucky as the father: Henry was beheaded just a few days before the king succumbed, on the same charge of treason that almost claimed Thomas this day. Though Howard pere would survive long enough to see his title restored, this day was far from the last chapter of his grasping family’s encounter with that classic Tudor denouement, the chopping-block. Thomas, his executed son, and his executed grandson today stock the family tombs at St. Michael, Framlingham — itself a sort of late monument to the aristocracy unmade by Henry’s reforms more than by his executioners.